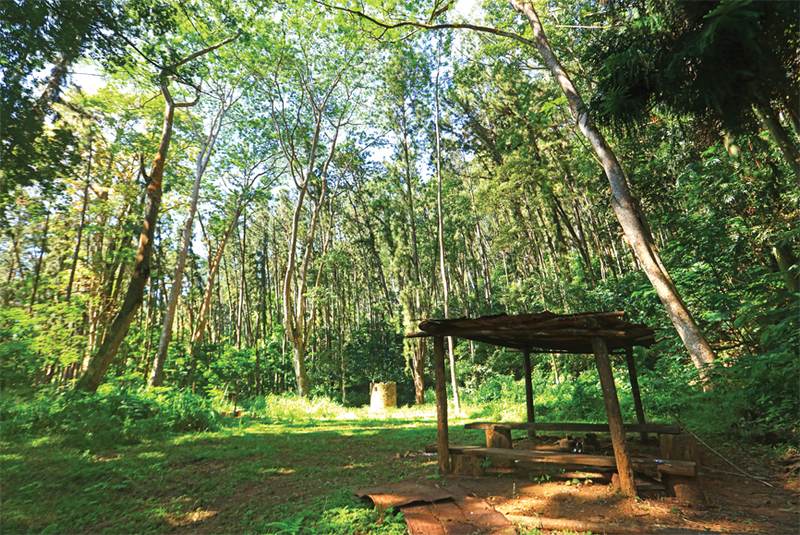 Caribbean Pines were planted in the Matale area in the 1970s. 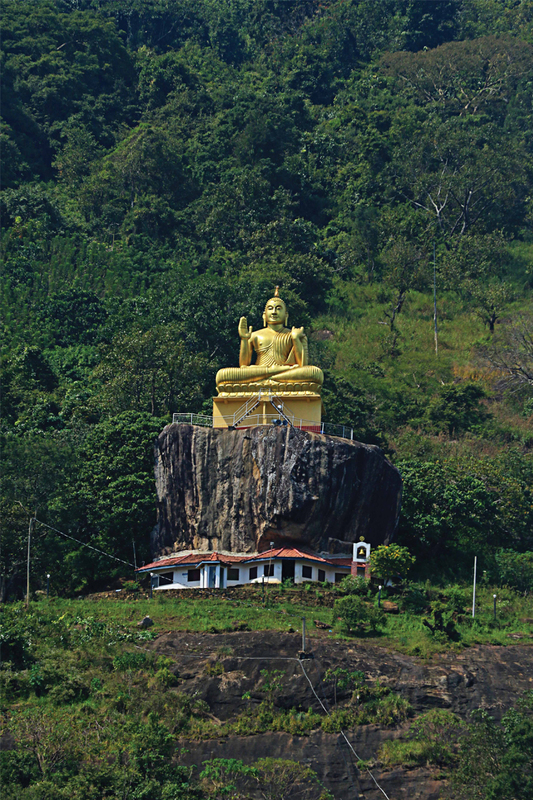 A visitor entering the Matale town would not miss the sight of a seated Buddha statue located halfway on a mountain just behind the historical Aluvihare Temple. This is a part of the Wiltshire mountain range. Wiltshire is a secret. 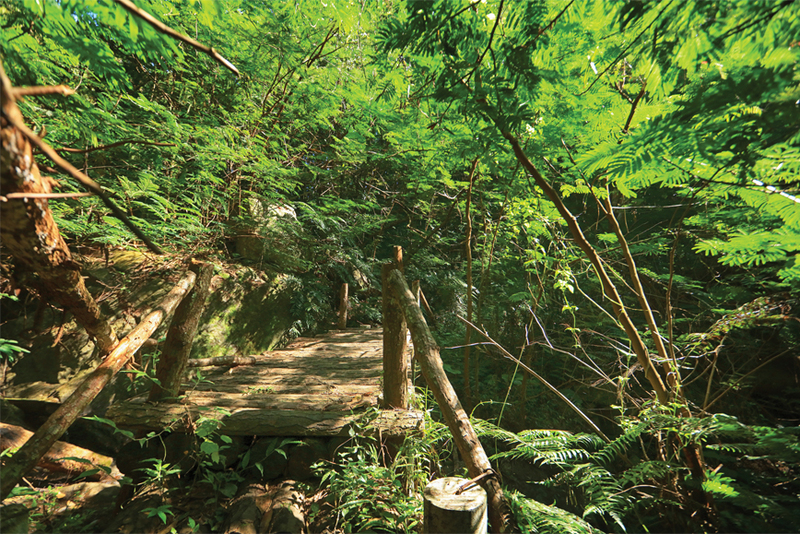 Not many hikers have traversed the mount, no specific detail can be found in information brochures or maps, and even the residents of Matale are unsure whether it actually exists by that name. The more mysterious the mountain range seemed to be, the more attractive it appeared to us. Hence on a pleasant, sunny day despite the chilly weather that marked the season, we found ourselves on our way to the foothills of the elusive Wiltshire mountain range. Following the Harasgama road that led from King Street, Matale, we drove uphill a few kilometers with the carpeted road winding with a dizzying frequency. We had to stop at several junctions to ask a passing-by villager for the directions to ‘that mountain.' We had long since stopped asking for the ‘Wiltshire mountain': the name seemed to cause confusion. The tar road turned into a concrete path that led us further uphill and, at the threshold of wilderness, it morphed into rocks. It appeared to have been systematically paved a long time ago, but time had worn it down into random rocks along an eroded pathway. The ride was nerve-racking at the steep hairpin turns that were too many. The trail was charming. The road, though overgrown, was easily discernible. Overhanging branches made the perfect shade from the sun. Air was crisp and refreshing on our faces as we trekked onwards, anticipating serendipitous discoveries ahead of us on the unfrequented mountain. Wildflowers bloomed along the way, in beautiful reds, whites, and blues, dotting the montane greenery. 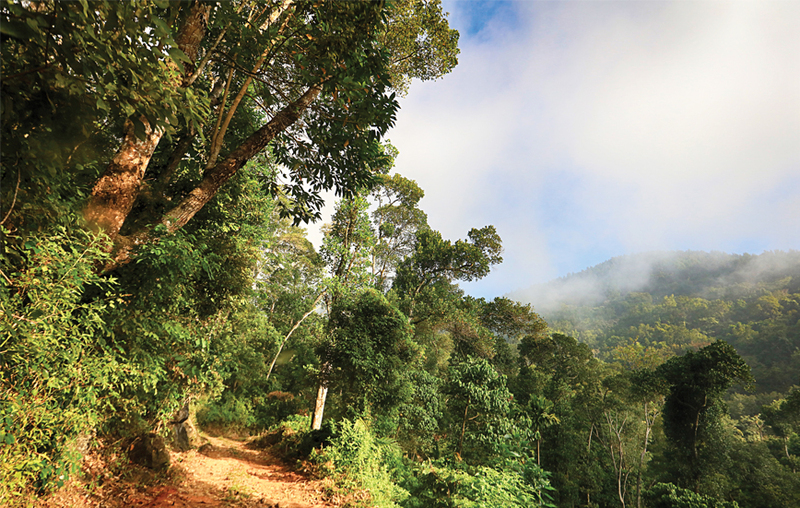 The early morning birdcalls were music to our ears, ringing through the hushed forest. We trod along the visible trail and heard the unmistakable sound of flowing water, though there was no sign of it in our line of sight. Curious and excited, we walked on, looking for the source of water. 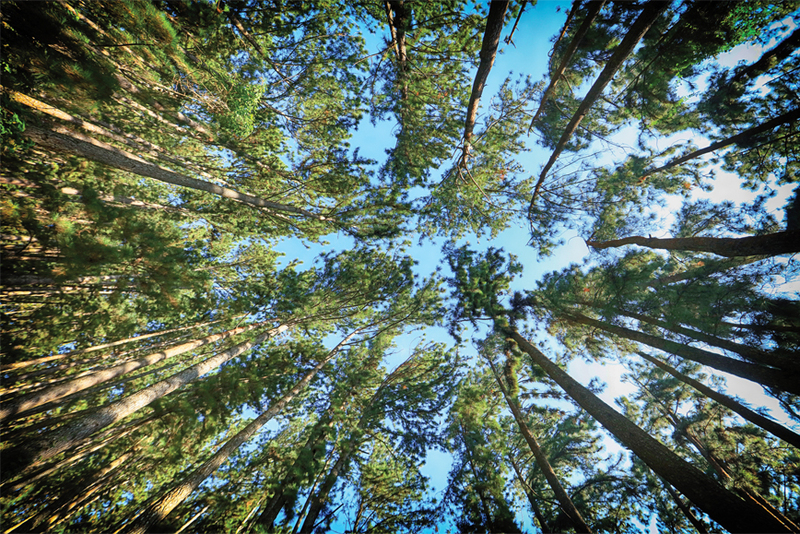 We had entered a forest of gigantic pines, towering over to create a picturesque view. 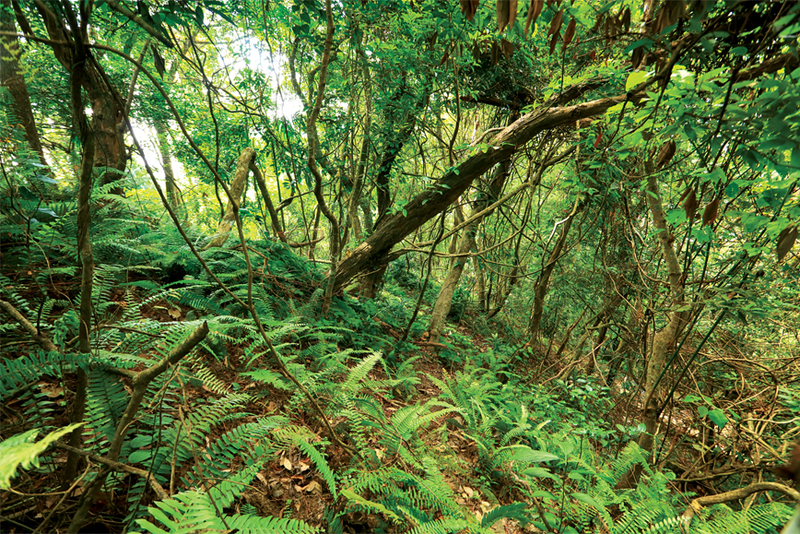 The Caribbean Pines were planted in the mountain terrain in Matale in the 1970s to reduce the risk of yearly wildfires that were prevalent in the area at the time and to prevent soil erosion. We had to be cautious when we stepped forward; dry, smooth pine needles covered the forest floor, making the pathway slippery. Stepping on the corns was oddly satisfying as they made a crunching noise as they crumbled beneath our feet. The road wove underneath the pine forest until it forked into two directions. The one on the left took us to a vast camping site, complete with a makeshift hut, a seating area, a washroom, and a tank. The right branch of the forked road had a few surprises in store. The overwhelming sound of flowing water was coming from a quaint stream that flowed turbulently through the low-hanging undergrowth, fallen logs, and mossy rocks. A wooden bridge was built across the stream. The verdant green, the bridge and the flowing water beneath it created a striking picture. We crossed the bridge and climbed up a slope that steeped steadily and led to another expanse of pine trees. The trail continued at the outer edge of the forest area, and we kept walking forward. 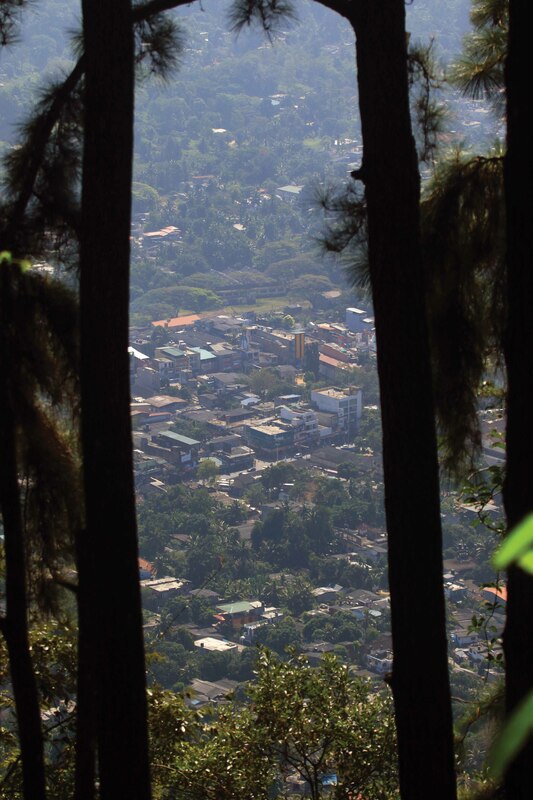 Around the corner, visible through the hulking pines was Matale. Buildings and vehicles seemed miniature from where we stood. The town was encircled by rows of misty mountain peaks. We stood a while in silence, basking in the warmth of the sun rays. The world right then was slow, hushed and enchanting. Breathing in the salubrious mountain air, we turned back, relishing the harmony of man and nature at its most beautiful. The rustle of the evergreen trees adds to the sounds of the musical birdcalls. 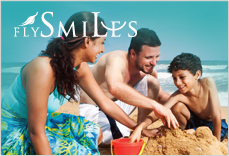 Enjoy a leisurely walk along the narrow path that offers views of the misty mountains. Matale town as seen from Wiltshire Mountain. The sturdy wooden bridge leads to an expanse of Pine. The makeshift camp is ideal for relaxation during the day. 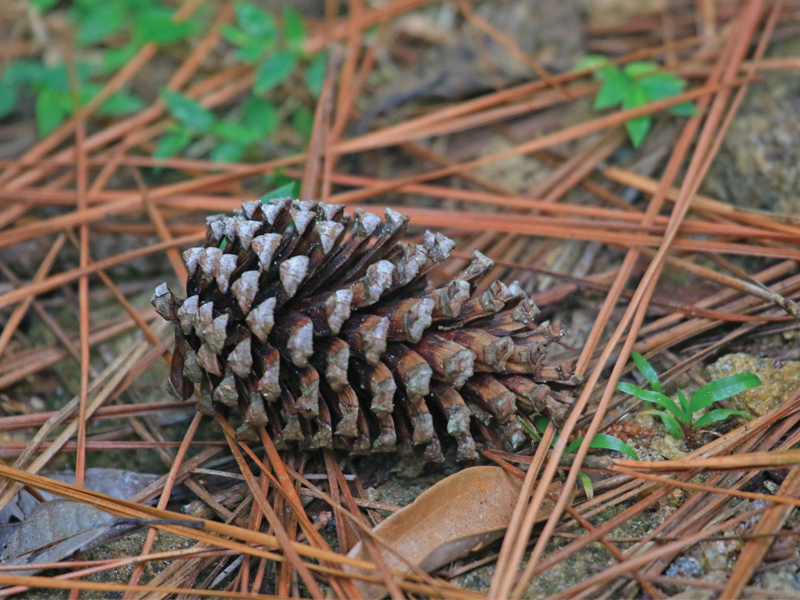 Dried Pine cones can be found frequently on the path. Rubus rosifolius var. 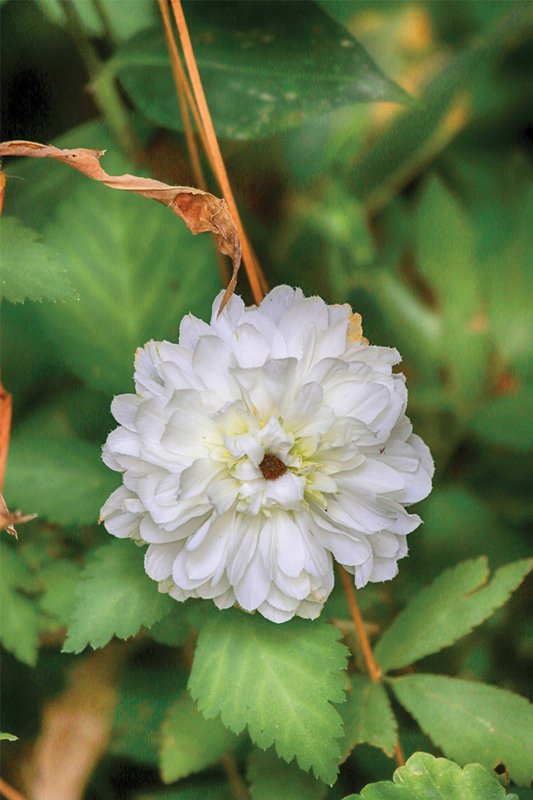 coronarius (Double-flowered China rose). The gilded Buddha statue on the Wiltshire mountain is visible from Matale town.